If you are looking to buy an office furniture especially executive chairs and desks, there are many options in the market. Choosing the right one can be a difficult task to execute. Office chairs come in different shapes, sizes, materials and color. When it comes to materials, office chairs are made from both leather and fabric materials. If your desire is to make work comfortable, then getting a good ergonomic office chair should be a top priority. Some people do not pay special attention to the kind of chairs they go out to buy but the truth is there is no such thing as one size fits all when it comes to office chairs. It is not enough to just dash off to the nearest store and just pick any chair that you feel will be comfortable enough for office work. Remember most people spend most of the whole day at the office sitting on a chair and this simply means, if you do not have the appropriate chair, you become less productive because you won’t be comfortable while working. There is no universal ergonomic office chair that works for everyone. No way, such chairs do not exist. If you are going to pick an ergonomic chair, you will need to figure out what will best work for your body and needs rather than just buy a chair because most people are buying it. Our bodies are different so the first step you need to take in is finding the appropriate ergonomic chair is to figure the dimension that will suit your body. You need to determine the length or height of the seat. This step is very important because if the chair is too long, there will be pressure on your knees and if it is too short it will not support your legs. If the measurement of your current chair works for you, you can make use of that while buying the new chair. I am sure you are wondering how do I know the seat length when I see the kind of chair I want? Very simple! This is what you get when you shop online. The whole detail of the seat is put in the product description so you have no worries at all. Executive desks are usually larger than the normal desks. As the name implies “executive”, which means it is meant for someone of high importance, therefore, should be chosen carefully. When buying an executive desk, the design should match the office decoration. Avoid executive desks with sharp edges so it does not injure anyone. 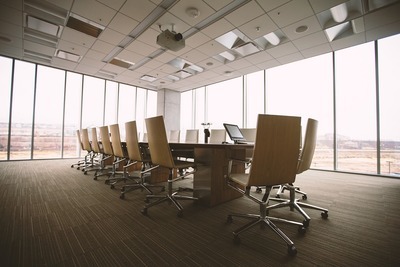 The functionality of executive chairs usually reflects the needs of the individuals using it. Some of the features of executive desks include a compartment for hiding computer hardware, locking drawers, and lots of storage space. While searching for furniture, always remember not to base your purchase only on your wants but your needs. With this in mind, you will be able to make the right decision.